One of our EDCI 336 projects is to do an inquiry on a technology that can be used in education. There are so many interesting possibilities, from Google classroom, to writing e-books, to video editing, and many more. It wasn’t easy to choose with so many interesting options, but I decided to look into FreshGrade. I have heard about FreshGrade in many of my classes since I started in this program, and have had a couple of guest speakers come into our classes and share information they have about it as well. Due to this, I have a good idea of what FreshGrade is, but I am still unsure how to really use it and what all of the possibilities are with it. For this project I will be working with a group of four people and we will be collaborating to learn all we can about this program. FreshGrade is an assessment tool teachers can use to communicate student learning with both the students and parents. It is an app where the teacher inputs each student for their class, and the parents for each student are given a unique password so they can see only their own child’s information. The teacher can post what the class is doing as a whole, as well as how each student is doing individually in each subject. There can be formal assessment shared on FreshGrade, such as test scores, and there can be more informal, formative feedback shared as well. In older grades, students can take pictures and videos of their own work and share it if the teacher allows it. Last semester, I was in a grade 5 class for an afternoon to help with experiments they had been planning for a few weeks. In this class, the teacher, the students, and myself took turns with the class iPad to take videos of the experiments as they were going on. In the videos, the teacher has the opportunity to have a discussion with the students as they are working to see if they have an understanding of the concepts being used, which is then shared on FreshGrade for parents to see and for students to look back on. The students can also document work that they are proud of and want to share. In some schools, FreshGrade and other programs like it are allowed to replace formal report cards. It is a great replacement for many reasons, one being that it is more consistent. Rather than parents receiving 3-4 report cards each year, they receive updates every week, sometimes multiple times. Another reason it is a good replacement for report cards is because it actually gives more information than report cards do. Report cards are often based on some kind of scale (either letter grades or a “not meeting” to “exceeding” rubric), and then there are a few anecdotal comments to go along with that scale. With FreshGrade, parents can see pictures and videos of their child’s work, they get to see what is going on in the classroom, and in some cases they actually get to witness their child explaining their work, what they are learning, and how they got to that point. One more reason I believe FreshGrade is better than report cards is because it keeps teachers on track with their assessment. One of the aspects of teaching that I am most nervous about is report card writing. I have known many teachers in my life, and “report card season” is always a time of stress. Everything from the term builds up until you have to condense all of the work from each student into a document of just a few pages. In a school where FreshGrade replaces report cards, this assessment stress is largely avoided. Even if I will have to write report cards in the school I end up teaching at, I believe FreshGrade will be a good tool to keep my assessment organized for all of the students, making report cards much less stressful and time-consuming when I have to write them. 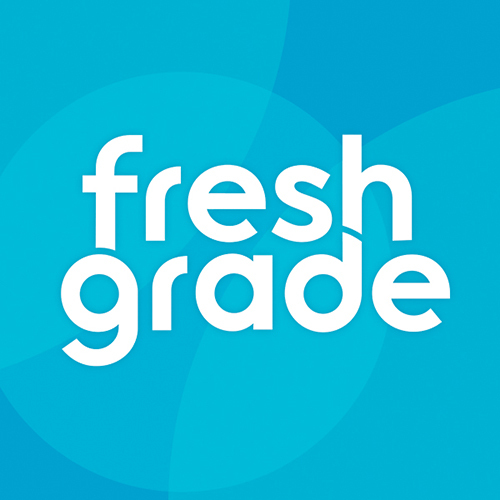 I am looking forward to learning more about FreshGrade with this project, because I intend to use it throughout my career, and this will also help me to have positive discussions with any principals, teachers, and parents who may be unsure about it.